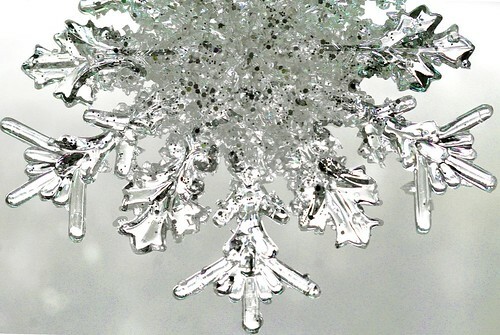 When a snowflake falls from the sky, it doesn't ask what its purpose is. It looks beautiful, we can catch it on our tongues, and we can examine its uniqueness under a microscope. The snowflake doesn't care. It's just doing what it's meant to do. When a flower blooms by the side of the road, it doesn't ask itself why it's there. We enjoy its color, we stop and take a whiff of its wonderful aroma, and we may even take a photograph of it to hang on our wall. The flower doesn't care. It's just doing what it's meant to do. When a watermelon grows from the ground, it doesn't ask itself how it fits in the big scheme of the universe. It grows; we wait until it's healthy and strong, and then we cut it from its vine, take it home, and enjoy its taste. The watermelon doesn't care. It's just doing what it's meant to do. The snowflake, flower and watermelon's job is not to worry about how unique they are, or how beautiful they are, or how delicious they taste. Their job, during the short time they have on this planet, is to bring joy, beauty and happiness to the rest of us. I know my place in the universe. I know my purpose. Do you? Hey Ron, how 'bout a beer?